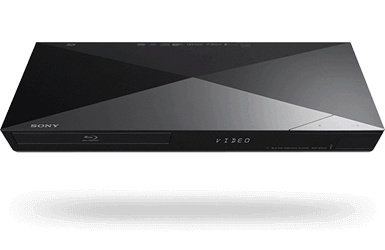 Supply the best brands in home entertainment. Why sell Sony Electronics as an Authorized Retailer? Associate your business with a consumer electronics name people know and trust. 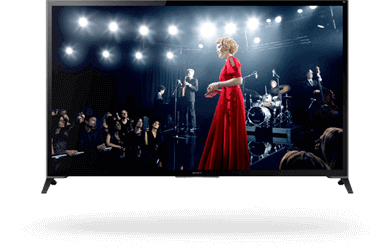 Sony was recognized with 13 International CES Innovations Design and Engineering Honoree Awards for 2014, including awards for video displays, home theater speakers and home/audio/video components. When you sell and promote Sony products, you provide your customers access to top quality products from a proven leader. 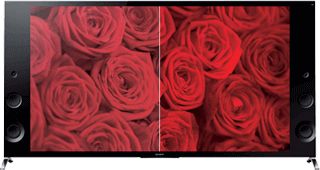 Sony 4K Ultra HD TVs are four times clearer than standard HD. 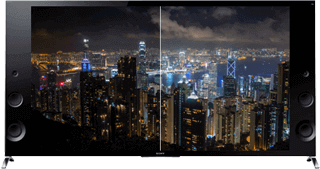 See more brilliant expanded colors with TRILUMINOS display. 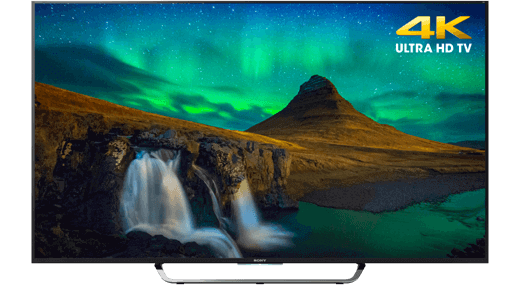 4K Ultra HD is four times the resolution of Full HD 1080p. Sony's invested almost a decade in 4K and with over 15,000 movie theaters worldwide using Sony 4K Digital Cinema projectors, no one else is more dedicated or experienced at delivering 4K Ultra HD entertainment. 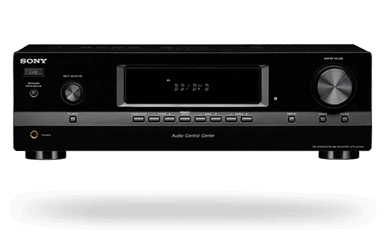 Experience sound the way it was meant to be heard with an audio processor that supports most HD formats, including Dolby TrueHD and DTS-HD Master Audio. Don't miss a whisper with the dialogue adjustment that modifies mid-to-high range sound for clearer, louder, and dynamic vocal reproduction. Supercharge your entertainment with a built-in, dual-core processor and 4K output. Enhance what you watch with four times the resolution of Full HD and stream wirelessly from over 300 different services. Why sell LG as a Consumer Electronics Retailer? LG is committed to offering comprehensive and indispensable technology solutions with the latest digital products and features tailored to the particular requirements of commercial environments. Their dedicated team of sales managers, application engineers, customer support staff and their strong business relationships with nationwide distribution partners give them the logistical capability as well as the service and program support to serve customers in hospitality, healthcare and SMB. 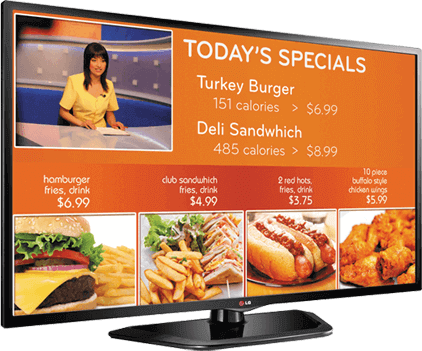 LG offers superior products for the B2B market, such as LCD monitors, commercial displays and other various B2B areas. When partnered with integration and software providers, these products form the basis for a highly competitive solution for your business customer. 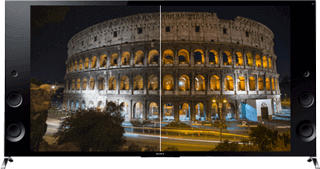 Featuring a stunning IPS display, LG commercial TVs not only allow your message to be seen in full HD from virtually any angle, but they feature built-in temperature controls that adjust to light and heat, which eliminates dark areas. Each commercial TV comes equipped with a built-in capacity that will support customized applications and services thanks to a wide array of system integrators and service providers. Available on Hospitality televisions, EzManager is an auto-configuration function that makes our business TV systems fast and easy to install. 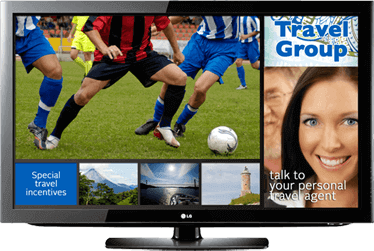 Our TV systems feature all the tools needed to optimize your televisions through IP-based programs such as HTML5, Java, and Flash. 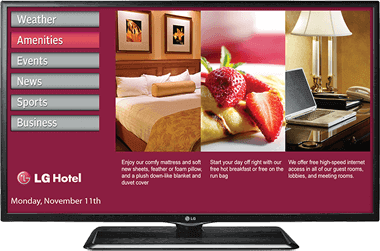 These business LED TVs feature HD 1080p screens for high-quality images, and offer a unique, dedicated hotel data broadcasting platform for hosting interactive applications that allow you to deliver content tailored to the needs of your hotel management team and your guests. Additionally, they allow you to create custom welcome screens, use USB cloning, offer an energy-saving public display mode, and include a Multi IR function that eliminates the remote control signal interference between TVs in multiple-dwelling rooms. EzSign TVs are a smart, customizable solution for all your digital signage TV needs, with features that include: software with templates, a wide array of LCD displays, a compatible external or internal media player, sleek and lightweight design, full HD resolution for supreme picture quality, support for industry-standard digital signage software and media types, and highly reliable solid-state technology.